O.K. garden peeps, something actually is blooming! 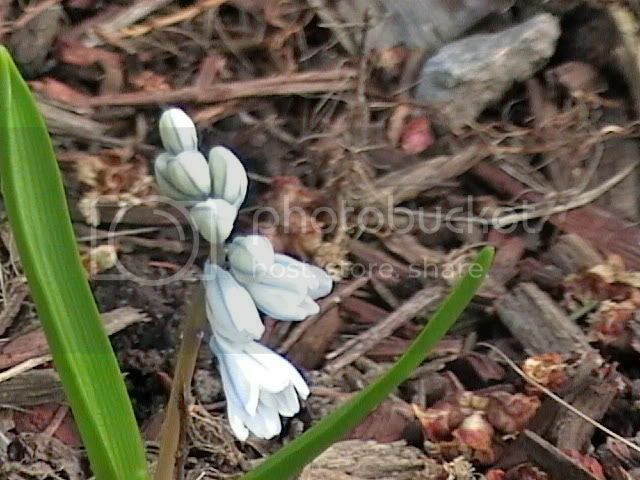 I almost pulled these out the other day, thinking it was grass sprouting in the flower bed. Good thing I am lazy...... Anyone know what these are? I've heard people in my neighborhood call them teardrops, but I don't know if that's correct. I have my daffodils and hyacinths in bloom right now. Isn't it nice to see the first signs of spring? I Isn't it nice to see the first signs of spring? Yes! After living in the deep south for so long it is awesome to live somewhere that actually has spring. I am having a ball waiting for things to bloom. 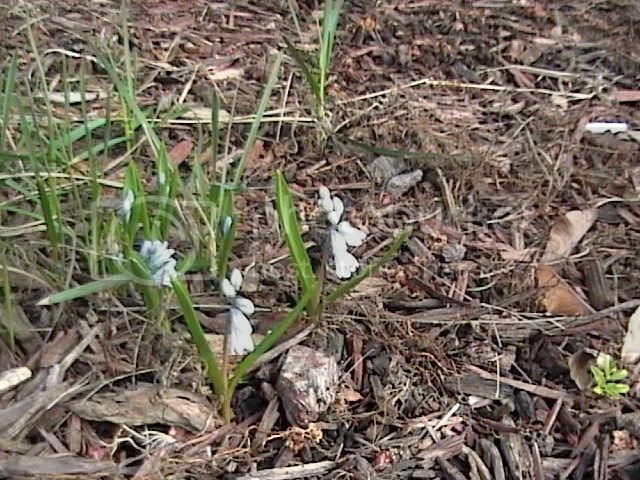 Believe those are Blue Siberian Squills (Scilla), had them here for awhile but think they are favored by the moles and gophers. Huh? I live on the gulf coast and I still enjoy spring. I have tulips and azaleas blooming now, and my snowdrops are just finishing. LOL! I meant that something is always blooming down there and most things stay green all year. I enjoy the change from permafrost to full blown sprouting/blooming. I lived for 20+ years in West Central Fl and I did have azaleas, but no forsythia, no honeysuckle, none of those happy signs of spring. Hmm, we can grow forsythia and honeysuckle here near Pensacola, it's amazing what a difference a small distance can make. My tulips have come in the last 10 days...unfortunately they have been greeted by two hailstorms, freezing rain, and snow this evening. Oh, tell me about it!!! I had just done my window boxes and the cold moves back in! I have brought them indoors, no problem there, but I'm worried about the baby peaches on my peach tree. My roses have been blooming and budding but they seem able to withstand a lot. I watered my trees and bushes well last evening, gave them some fertilizer, and topped it off with more mulch. I also covered the peach tree with a sheet and blanket and put the vinyl grill cover on top of it in case we get frozen precipitation. I hope these measures will preserve the baby peaches! Could those flowers in the pics be old hyacinths? My older ones look like that. Nothing is blooming here but crocuses so far. Spring is late this year.